Now, you have the option to switch how PastorsLine charges you for incoming messages. Default option: Pay for incoming and outgoing messages, and unused credits roll over each month. New option: Pay for outgoing messages only (incoming are free), but unused credits do not roll over. To help you choose...The new option (non-rollover) may be good for smaller plans in which the churches are finishing all their credits each month and want to maximize their usage. You can read more here. Where to choose: This is done on the Billing page. Click on the red down arrow to toggle between options. NOTE: Your new choice will take effect during the next billing cycle. Also, this arrangement does not apply to voice messages. 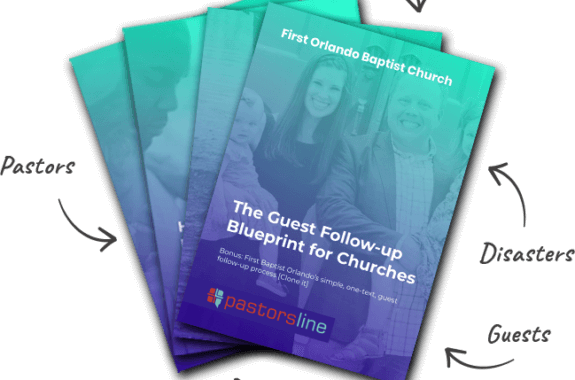 PastorsLine, powered by Fluidm.in, is designed with churches and ministries in mind. It’s a cloud-based text and voice system that allows you to easily build your database and engage with your members and visitors using fun and innovative options. You can manage and engage with your list on your desktop or mobile devices at a fraction of the time.